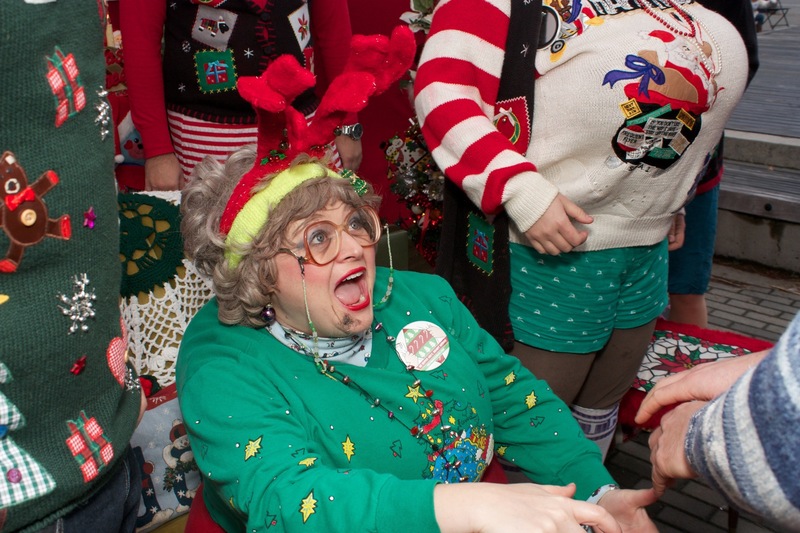 Ugly Christmas sweaters have become more popular over the years to wear at Christmas parties, and festive occasions. I’ve been to a few of these parties and it’s always so funny to see how creative people get with their tacky sweaters. In fact, last year I attended a party, and someone had tinsel and Christmas lights on their sweater. This person looked like a human Christmas tree! Without a doubt, ugly Christmas sweaters at parties are always a good time. I have never attended an ugly Christmas sweater event with my children. I think it would be super fun to get the entire family decked out in tacky Christmas sweaters. 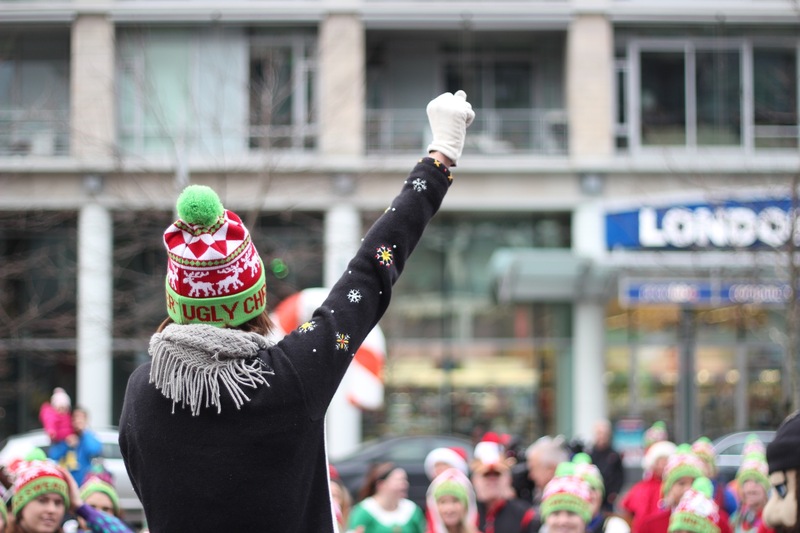 For this reason, my family and I will be attending the Ugly Christmas Sweater 5km Dash this holiday season. 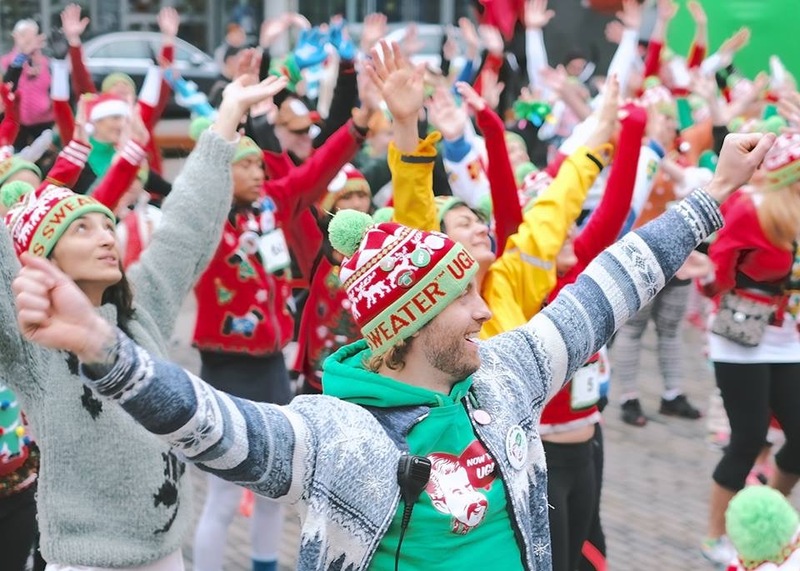 I’m so excited to dress our family up in ugly sweaters, in support of the Children’s Wish Foundation on December 5th for the third annual Ugly Christmas Sweater Dash presented by Now That’s Ugly Society. A fun family run in our neighborhood, all for a good cause! 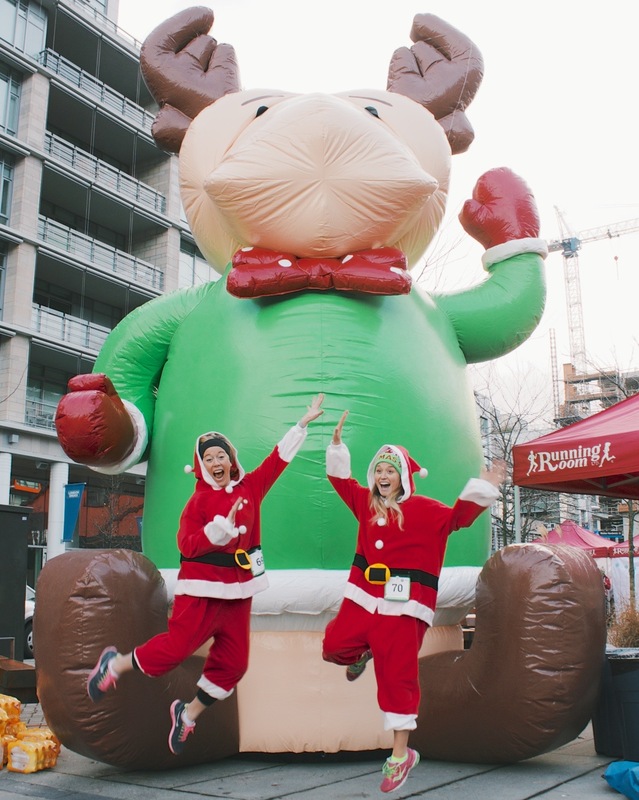 What a fun way to spread holiday cheer! 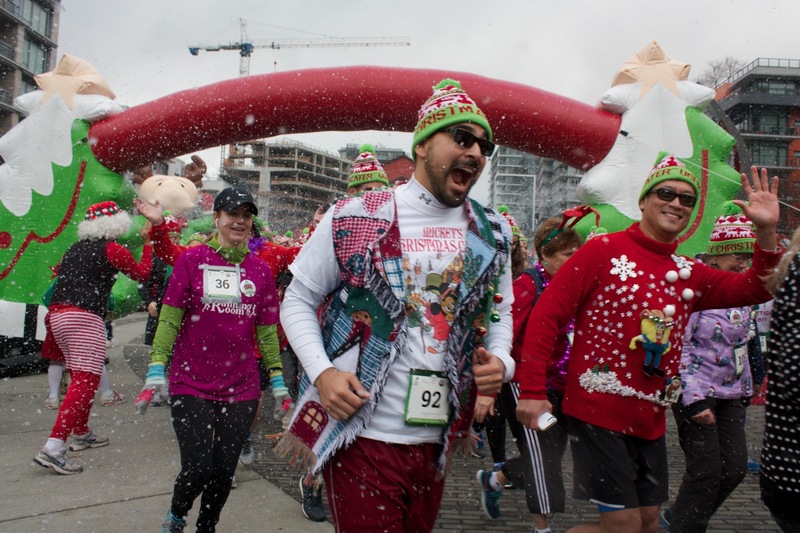 The Ugly Christmas Sweater Dash takes place at Rocky Point park on Saturday, December 5th. 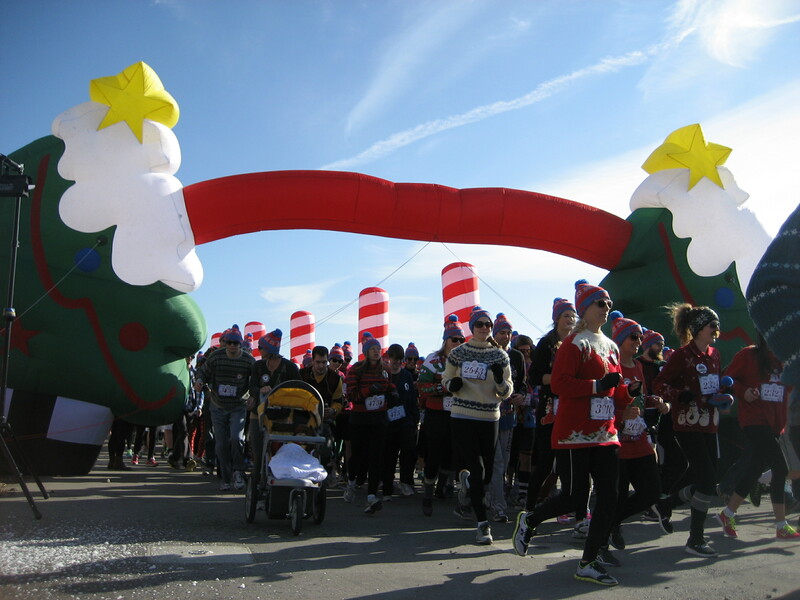 The Dash is an un-timed 5 km run featuring holiday themed stations, snow blowers, and giant Christmas characters. 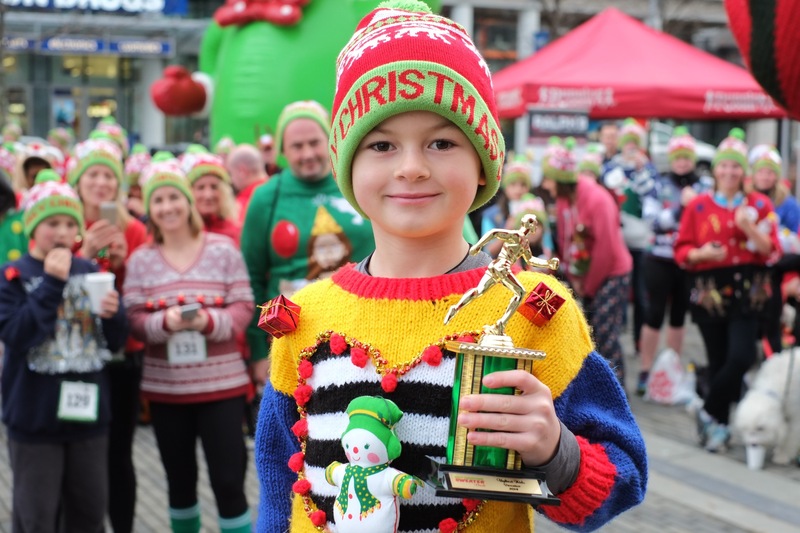 We’re so excited to join hundreds of other runners, walkers, children and families in our ugly Christmas sweaters. My youngest says she is most excited for the hot chocolate. My eldest can’t wait to get creative with her ugly Christmas sweater and all of them can’t wait to run in their sweaters! 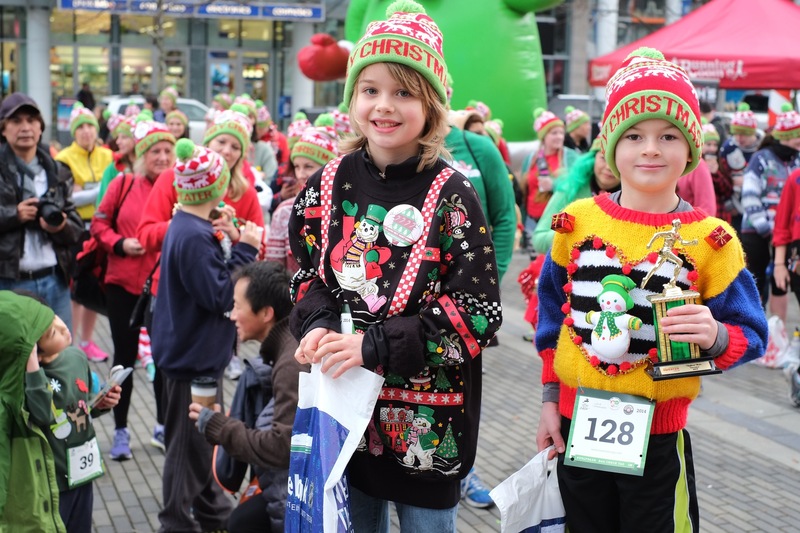 “This year the Ugly Christmas Sweater Dash will support granting a wish for kids like Hannah. their spirits.” – said Jordan Birch, the Society’s Chief Experience Officer. We are super excited to spend our Saturday morning lifting our spirits, getting physically active, all while supporting a good cause. I hope to see some familiar faces there! 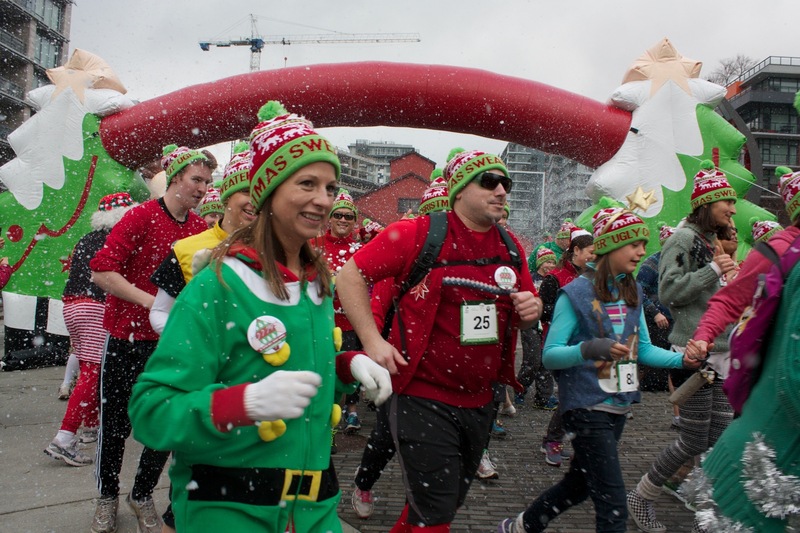 Check out these fun photos from last years Ugly Christmas Sweater Dash! 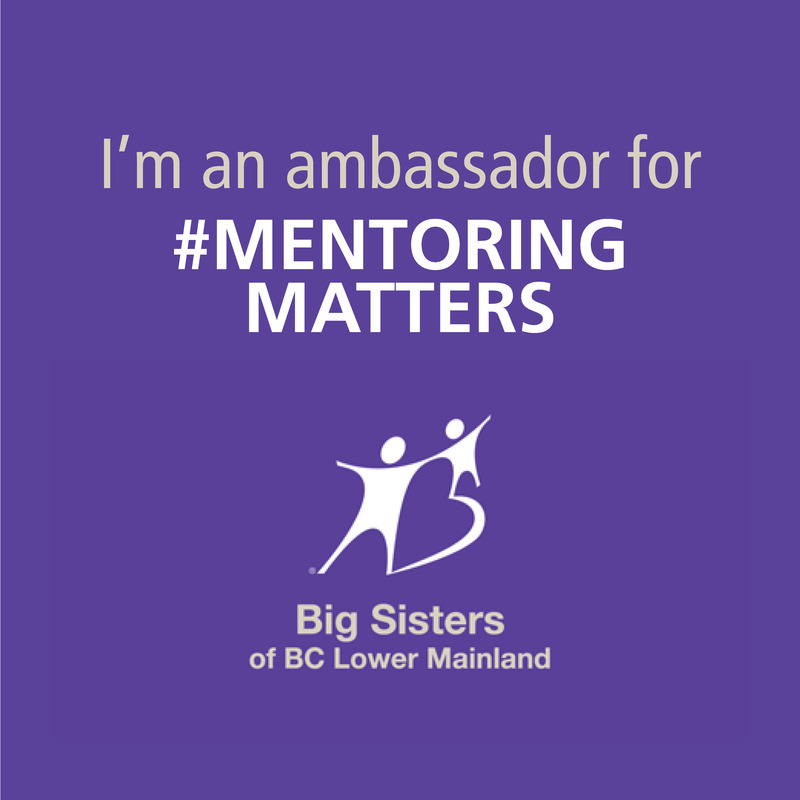 Disclaimer: I was compensated a small non-profit rate for this promotional post. All opinions expressed however are my own.